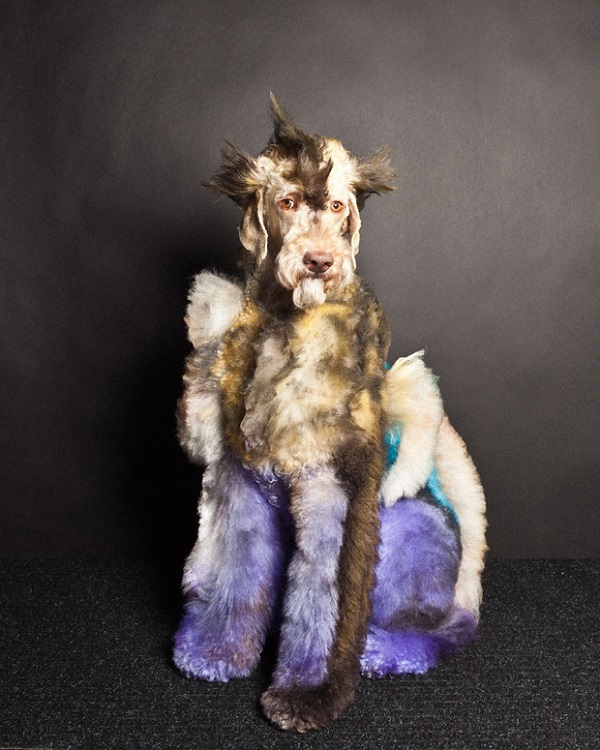 Painted with cheetah spots and cotton candy pink fur, the polished pooches in photographer Paul Nathan’s “Groomed” series are better suited for a high-fashion runway than the pet store. 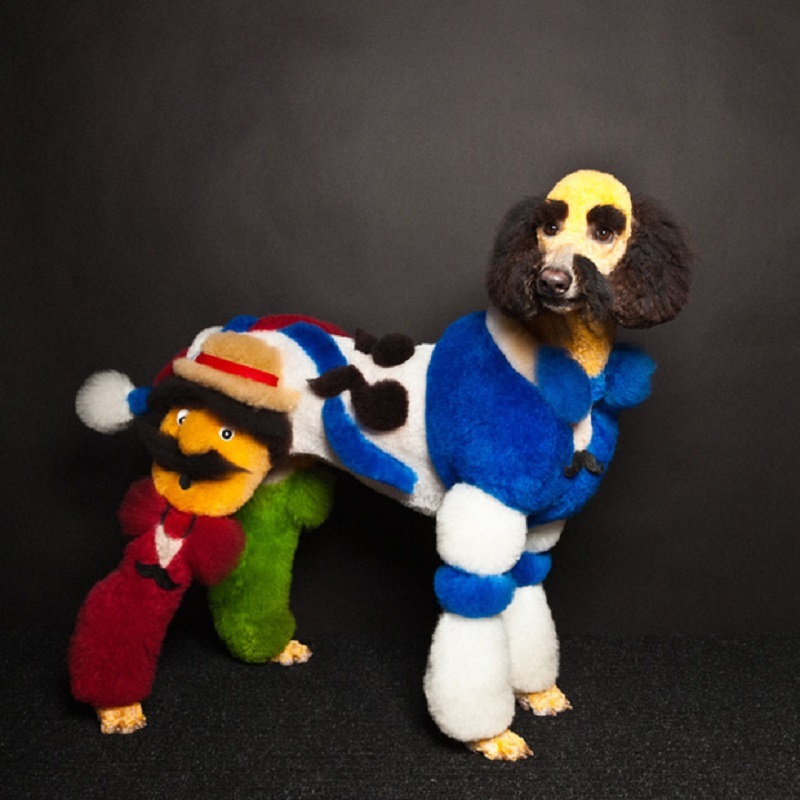 New York-based Nathan provides a (colorful) look into the world of creative dog grooming, which is equal parts delightful and totally bizarre. Paul Nathan was born in Auckland, New Zealand, though he now works and resides in New York. 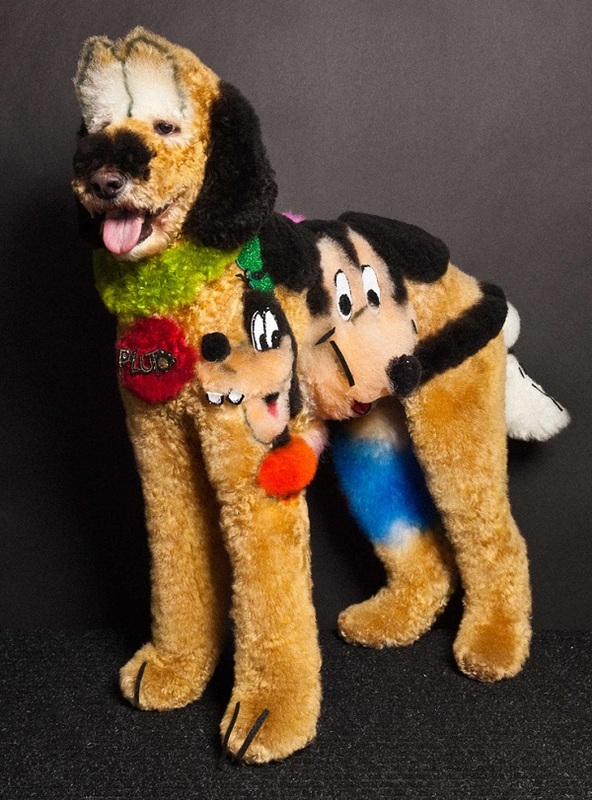 While Nathan focuses on beauty, portraits and editorial fashion, he has published two books on dogs, including Groomed and Couture Dogs of New York. 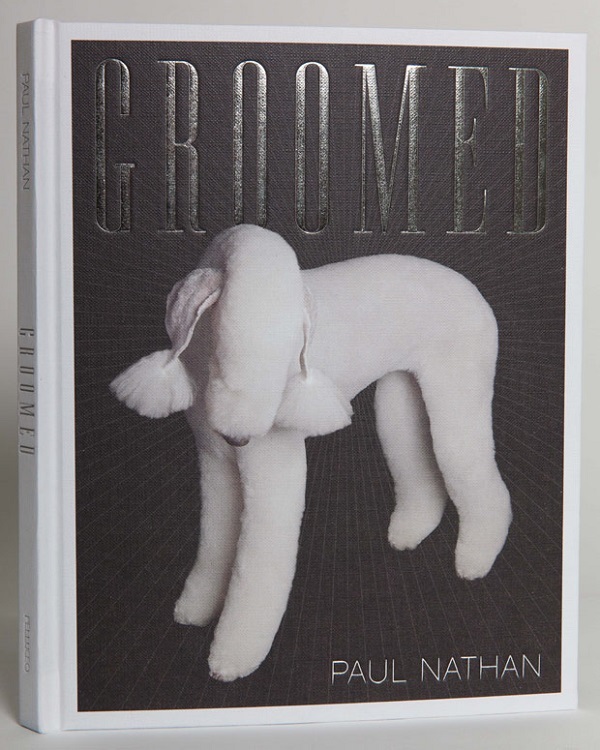 Many of the images in Nathan’s books come from his time at high-end events like Intergroom, the world’s premiere pet grooming conference, that feature grooming competitions and educational seminars. 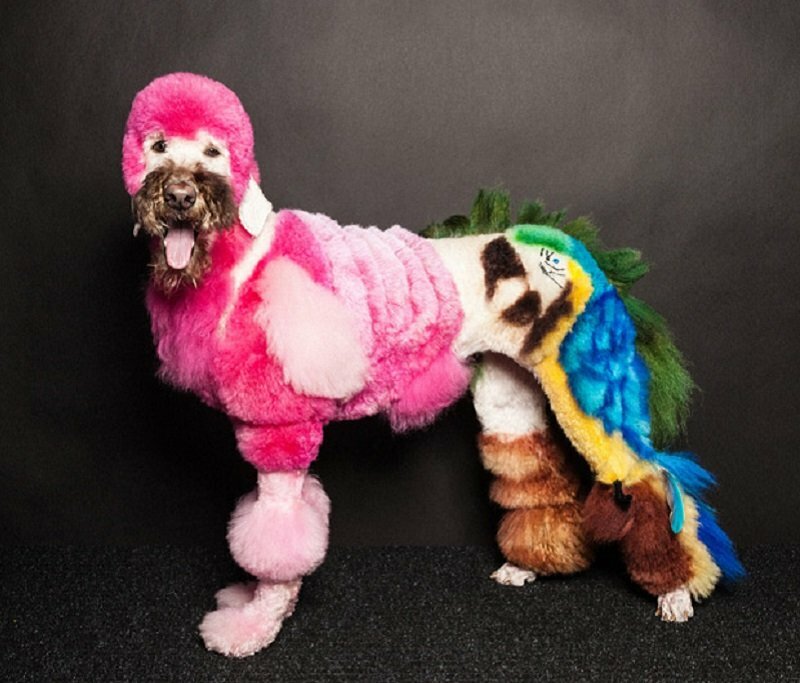 Creative dog grooming is a thriving pet subculture, and it’s not uncommon for dog groomers to attend these events dressed to match their pooches. Animal lovers, rest easy. 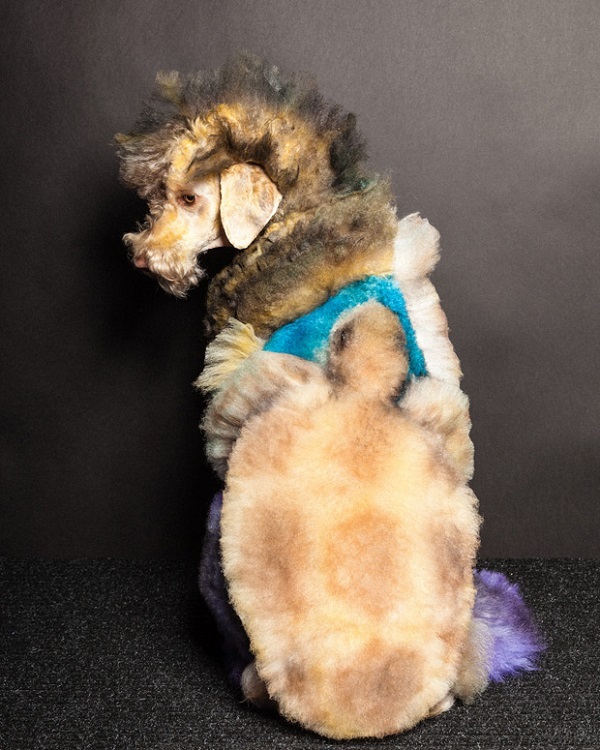 The individuals behind these creative dog grooming designs always make the pet’s safety and happiness their first priority. 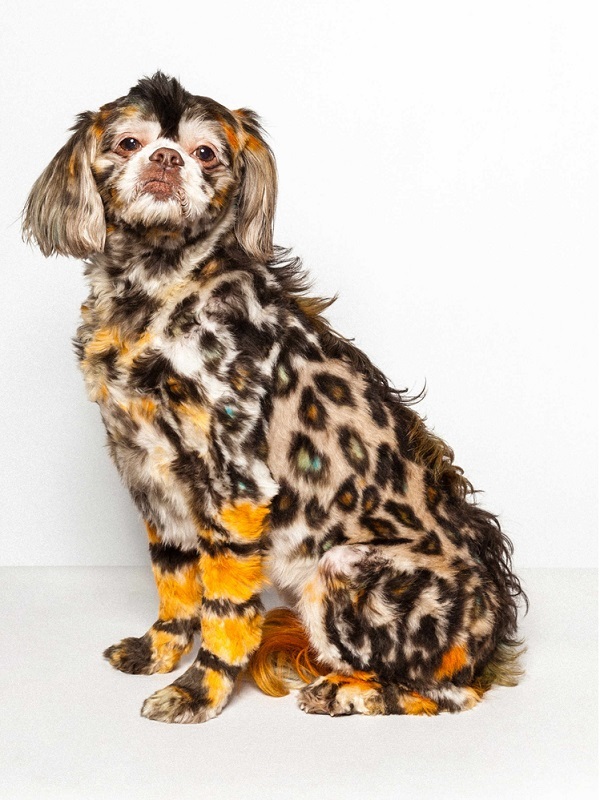 To create the bright designs captured in Newman’s series, professional groomers wield styling tools and semi-permanent hair dye, coloring and primping the dog in styling sessions that can span a few days (though each individual session lasts no more than a few hours, to ensure that the dog is comfortable). 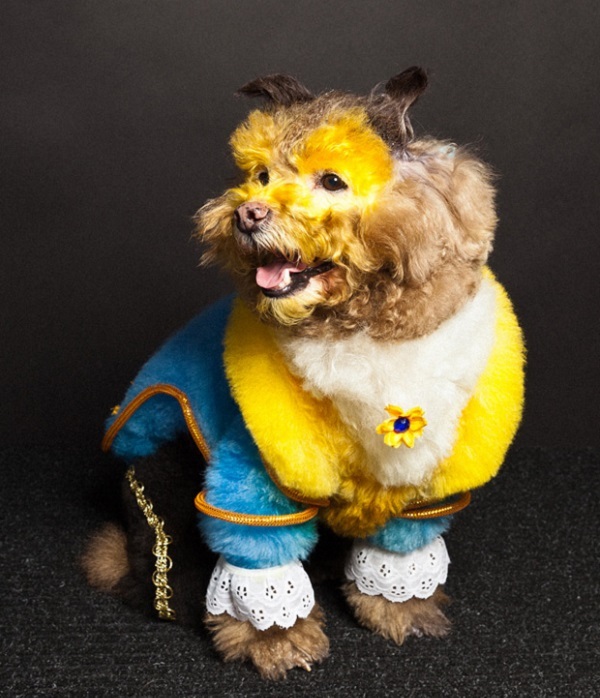 Unlike red carpet hairstyles, these dog looks can last anywhere from a few washes to a few months. 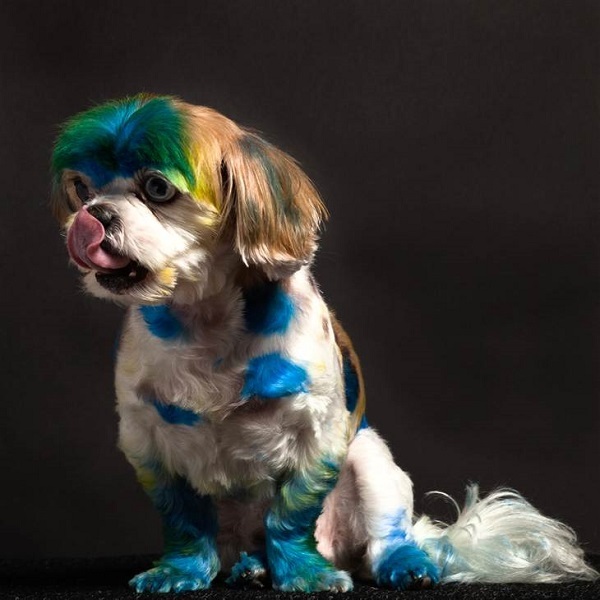 Nathan claims that only a few top dogs have the patience required to become the artist’s canvas. Finally, check out some of humanity’s most truly weird pets.